Can Social Media Help Cure Cancer? It was a big week for basketball, as the Jimmy V Men’s Basketball Classic ended in Madison Square Garden on Tuesday. And it was a big week for Bazaarvoice because we’re supporters of the V Foundation for Cancer Research, founded by friends of legendary coach Jim Valvano, which worked with ESPN to stage this college basketball showdown. The V Foundation launched a major website upgrade, and the Classic event drives traffic (and donations) to their new site. We donated our Stories product to them, giving friends of Jimmy and donors a place to share their own experiences. We hope the stories help engage the community and inspire even more donations; the stories being shared are incredibly touching. My wife, Debra, and I became personal donors this year when we attended the V Foundation’s Wine Celebration in Napa Valley. Julie Constantin, one of our investors and Advisory Board member, and her team of other donors, such as 24 Hour Fitness, led the effort for the new site. Julie and her husband, Andrew, founded the Wine Celebration and are “total leaders”, as defined by Stew Friedman’s Total Leadership (a book I deployed throughout Bazaarvoice this year). 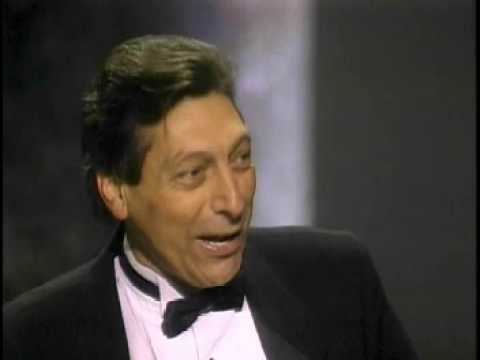 I highly recommend watching Valvano’s 1993 ESPY speech on the V Foundation’s YouTube channel or just below. I saw it for the first time at the Wine Celebration this year. It is incredibly moving and motivating. I watched it again on a recent trip to San Francisco to visit clients, during a quick lunch at a diner, and got some concerned looks as I had tears well up, just like the first time. On a personal note, I lost my grandmother to cancer when I was 18, and my hope is that we eradicate all forms of this cruel disease in our lifetimes. Just today we were at a 4-year old’s birthday party and one of the mothers that we expected to see there was not – her father is in the last day’s of his life due to cancer and she is by his side. Even in tough economic times, it is important to “nourish the soul” of our company – and ourselves – and give back when we can. Culture and charity are a very important part of what Bazaarvoice is about. We are very proud to be supporters of the V Foundation.